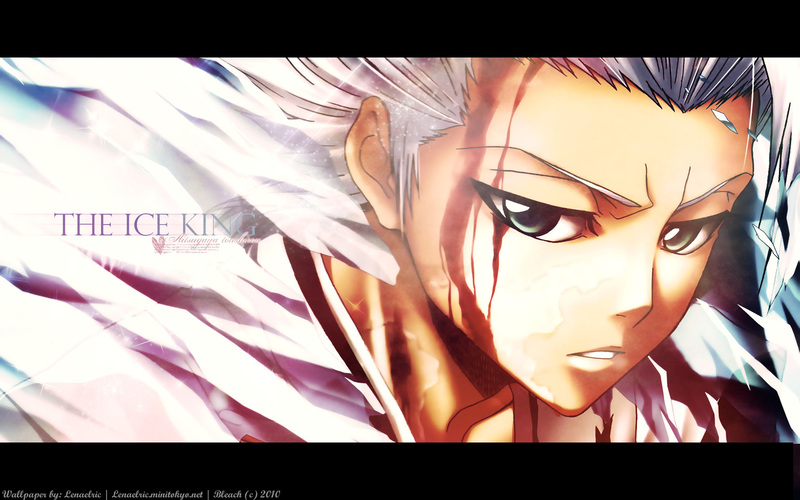 For too long I do not make a wallpaper and as I re-read bleach, I decided to make one of Hitsugaya-kun. I caught the Scan, and left two black pieces, top and bottom. After that, I put various effects on the scan to let more or less glossy, and applied the texture, which helped a lot. I've been putting several brushes gloss over the ice to give effect to shine and writing: The ice king, is in a way that combines especially with ice. I tried to put a little thing, not like to do many brushes with wallpaper, try to leave the most simple and beautiful. And if possible of course with quality. I put a doll in order to effect a major effect on the wallpaper. This will make a perfect poster. Love the effects, texture, and brush touch in it. Nice work, simple but beautiful. I like it! Thanks for sharing that superb wallpaper! Capturaste la esencia del chaparrito!